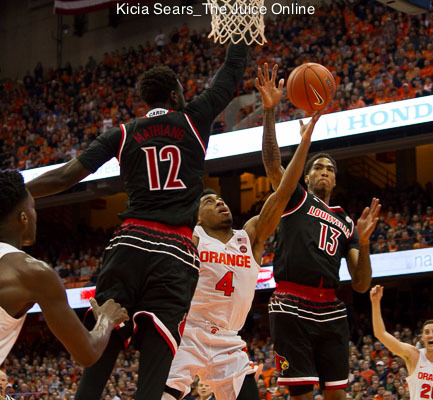 The game clincher, Mariano’s shot closed the door on a matchup against a tough opponent. 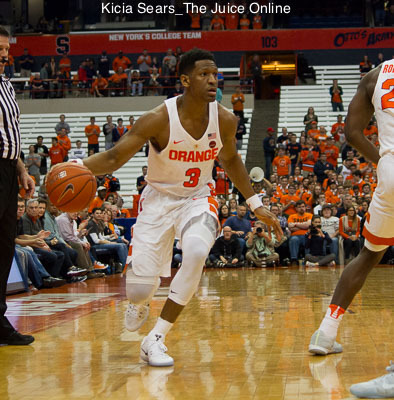 Syracuse has lived and died by the 3-pointer this season, and on Sunday, it was 8-30 from beyond the arc. 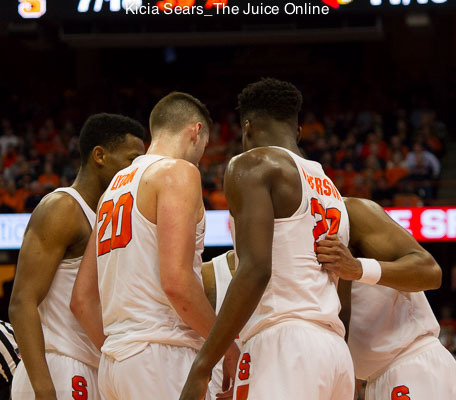 With this Syracuse team being as flawed as they are, trying to avoid getting an 8- or 9-seed and a potential second round matchup with a #1 seed is a good idea. 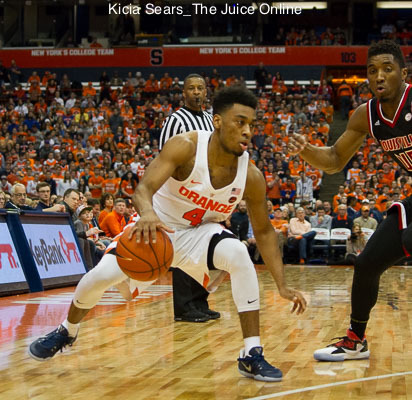 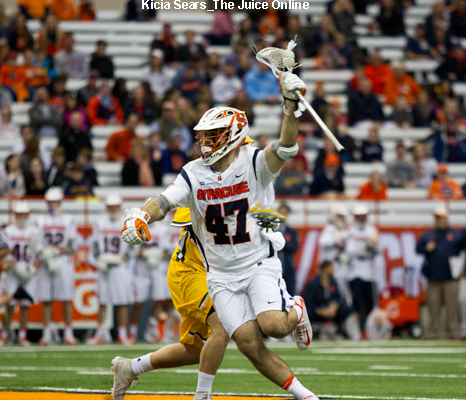 As has been evident throughout ACC play, as Gillon goes, so go the Orange offensively. 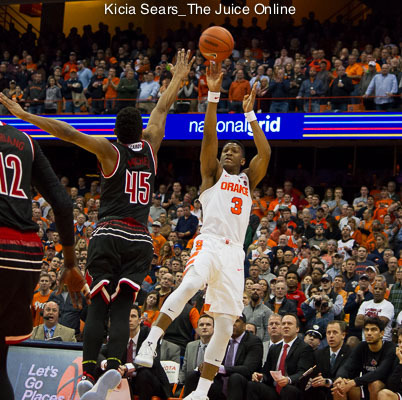 Next up, there’s a trip to Georgia Tech on Sunday followed by the much-anticipated Dome-tilt with Duke. 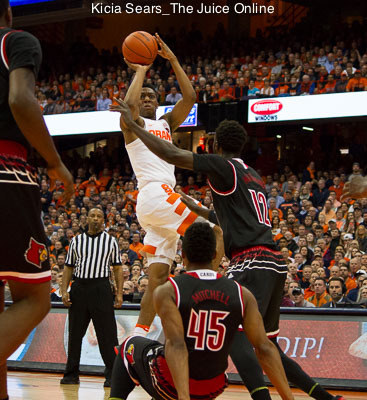 Syracuse put up a valiant effort, rallying from seven points down in the final two minutes of regulation, but gave up ten straight points to #4 Louisville in overtime en route to falling at the Carrier Dome, 76-72. 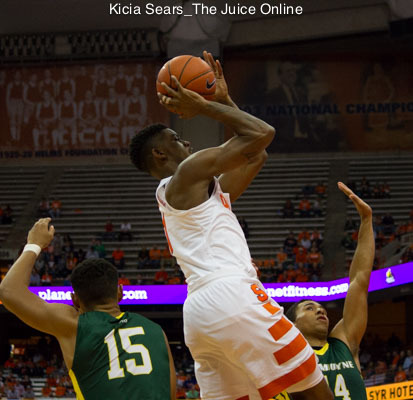 The Orange can point no further than two statistics for the loss: Rebounding and 3-point shooting. 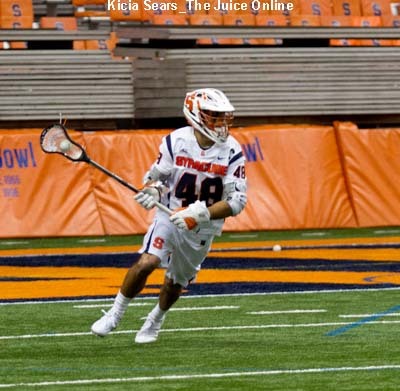 Now, the trio recovered well and put in a stellar performance the rest of the way, but with Mellen unlikely to return this week, that means Desko will roll out Cunningham, Firman and Bomberry again, this time against better competition. 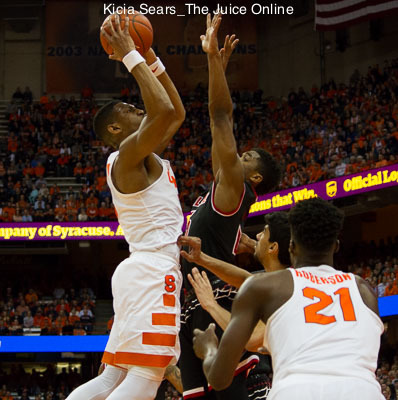 Cameron Johnson was thorn in SU’s side, burying a half dozen three-point shots for the bulk of his game-high 22 points.